The skills you’ll learn on your PADI Rescue Diver course at The Dive Bus will build your confidence as a diver like no other dive course, and help you become the safest diver you know. You’ll learn and experience emergency management and prevention, and heighten your awareness of your surrounding environment – above and below water. By the time you’re a certified PADI Rescue Diver, you’ll be beginning to see situations and conditions from the perspective of a professional diver. You’ll learn about self-rescue, handling diver stress, diving first aid, equipment problems and general emergency management. And you’ll practice your new skills and knowledge in training scenarios so they become second nature. 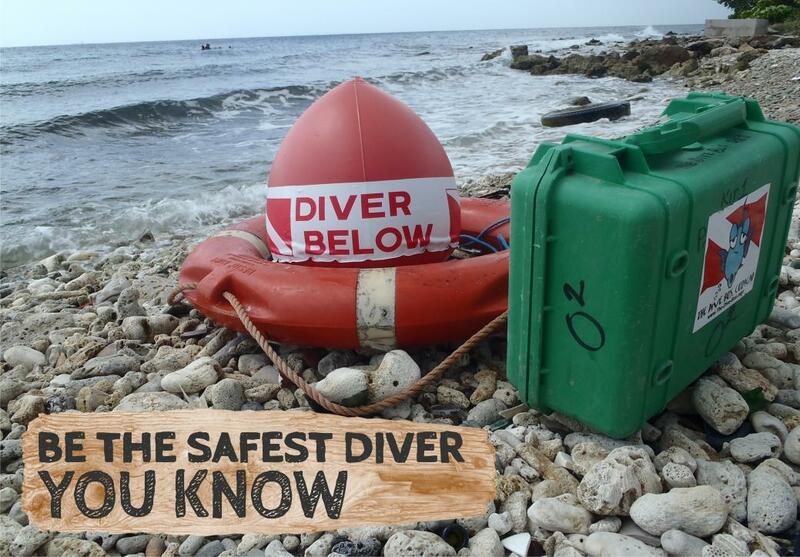 All this enables you to spot potential situations and problems before they arise, turning you into a better diver and better dive buddy – and probably the safest diver you know. Do it – you’ll surprise yourself, and your Dive Bus PADI Instructor will ensure you have plenty of fun along this personal journey, too. Pre-requisite certifications: PADI Advanced Open Water including Underwater Navigation adventure dive and Emergency First Responder course. PADI Peak Performance Specialty is strongly recommended. Save time: start today online. Save time + money: Take your Emergency First Responder course at The Dive Bus too. If you’re a PADI (Junior) Advanced Open Water Divers (min 12 years old) and have completed your Underwater Navigation Adventure Dive, you’re welcome to step up and enroll in an PADI Rescue Diver course. You also need to have Emergency First Response Primary and Secondary Care (CPR and First Aid) (or equivalent) training within the past 24 months. If you don't have a valid first aid certification, you can take both courses with The Dive Bus – and your Underwater Nav dive - and save $$$! You should be a confident diver, fit and healthy enough to handle some fairly strenuous activity including tired diver tows. If your buoyancy isn’t that great, take your PADI Peak Performance Buouancy Adventure dive with The Dive Bus, and be amazed at what that does for your confidence in the water. The PADI Rescue Diver course prepares you to deal with dive emergencies, minor and major, using a variety of techniques. Through knowledge development and rescue exercises, you learn what to look for and how to respond. Once you're a PADI Rescue Diver, you're well on the way to the highest recreational diving rating: PADI Master Scuba Diver. In addition to the certifications you've already got on your way to Rescue Diver, you'll need 5 PADI specialties under your weight belt. Register for Rescue Diver Online – PADI’s eLearning option – to start now. You progress through five knowledge development sections using a web-based system that lets you learn at your own pace through an easy-to-use, interactive program. You also have access to an online version of the Rescue Diver Manual for reference during and after the course. 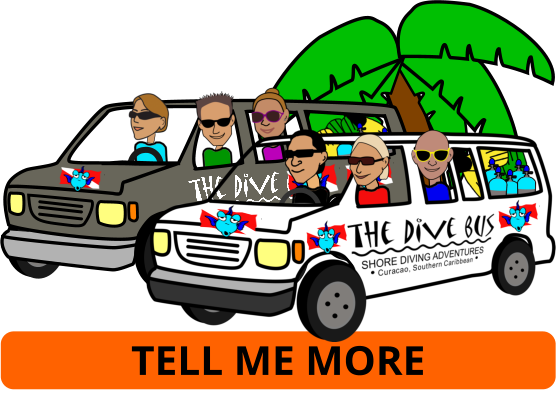 Swing by The Dive Bus as soon as you get to sunny Curacao and pick up yours. If you can’t wait until you get to Curacao, pick one up from your local PADI dive shop back home. Beyond using basic scuba equipment, your PADI Instructor will explain the additional the gear, that you need or find useful such as your own pocket mask to practice in-water resuscitation first aid kit. During the training exercises, you’ll work with specialist equipment including an oxygen unit, floats, marker buoys and The Dive Bus CPR mannequin, Bob. All the equipment you’ll need is provided during your PADI Rescue Diver course, and there’s plenty of choice in The Dive Bus shop if you’d like to get your own. You can be sure that your Dive Bus instructor will advise which equipment is right for you, not their wallet, as there’s no sales commission here. to discover the best of the rest of underwater Curacao.